Yuvan Shankar Raja who had mastered rendering tunes and scoring back ground music set his eyes on production , and thus the success story of YSR films was spun. His maiden production "Pyar Prema Kadhal"created huge furious noise in the box office that the whole industry looked upon Yuvan to sing many more successful notes in production. His second production Is an untitled film with Vijay Sethupathy as a Hero and Director Seenu Ramasamy as the director . The shooting of this film is happening in Allepy in Kerala. Now YSR films ably headed by Yuvan Shankar Raja and Irfan Malik announce their third production with pride. Titled "Alice" this crime thriller has got Raiza Wilson playing the lead. It is to be noted that Raiza was the heroine of "Pyar Prema Kadhal" too. 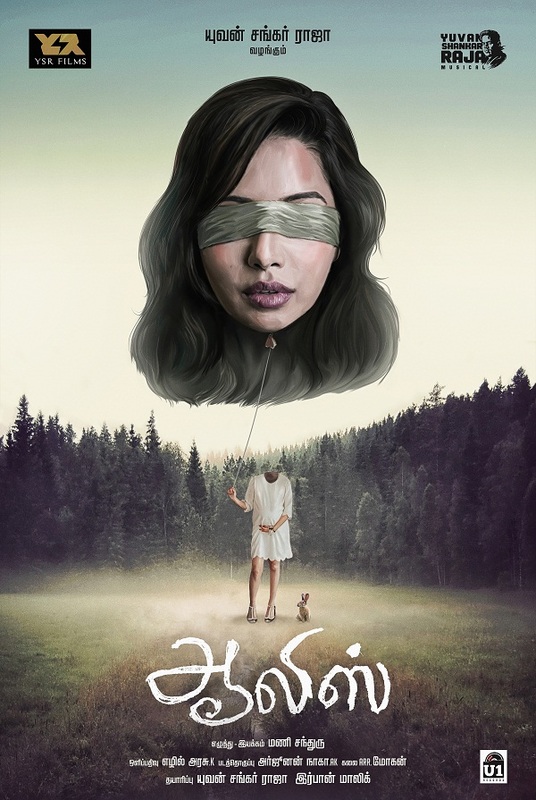 "Alice" is a wonderful script that will go a long way in re-scripting the pattern of story telling in Tamil films. Debutant Director Mani Chandru , we are sure will many accolades to our company. The moment we heard the script we instantly decided to produce this film. Since it was a heroine oriented film, we took time to decide on the heroine. Raiza actually walked into this film with the sheer weight age of her performance and commitment. The search for the other cast is on.True to the tradition of our company's policy of exploring and nourishing new talents we are introducing a bunch of young technicians in, Ezhil Arasu as the director of photography, ARR Mohan is the art director, Arjunan Naga AK is the editor. Yuvan Shankar Raja score the music. The shoot will commence shortly and we can assure the audience a spell binding thriller at the earliest.